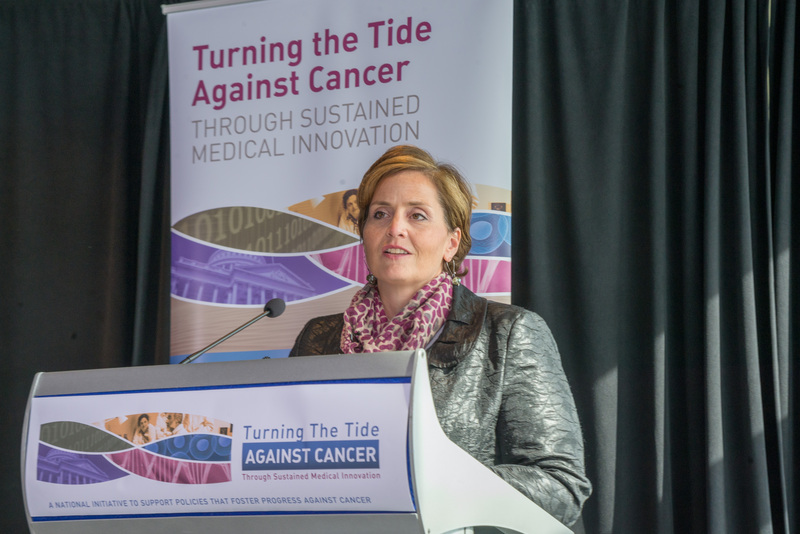 Following the Turning the Tide Against Cancer national conference last Thursday, I’ve had time to reflect on what we must do next to improve how patients experience cancer care. To make that change we must acknowledge key truths. Science is driving us towards more targeted solutions and novel approaches to treatment. The clinical trials and regulations necessary to get new products to market must change with the science. They must be nimble to keep pace with the extraordinary advances we are seeing. Coverage and payment decisions must also allow patients access to advanced treatments and not disincentivize innovations in health care. While new products sometimes seem expensive, we must remember that costs are saved by getting the right treatment to the right patient at the outset of care. We must educate. Each of us has a responsibility and a role to play in educating all participants in health care about the changes we are seeing in cancer. We must educate patients and their families about the complexity of decision-making and share information with them so that each patient can make informed choices. We must provide resources so health care providers are able to stay current with the latest developments in care. We also must educate policy makers to ensure that negative unintended consequences of policies are avoided. Everyone working in health care wants to provide patients with the absolute best treatments imaginable – and those we have not yet even begun to imagine. Sometimes that will require addressing very tough questions in order for personalized medicine to be fully integrated into the health system. Finally, we should celebrate the improvements made in cancer care from innovations in clinical trial design, to imaginative diagnostic testing of solid tumors that allow for better targeting of treatments, and tests that help physicians and patients make the best treatment choices. Advances are being made in science that are extending and improving lives. This is no small feat, and while our goals are great, we must celebrate the achievements that have taken us this far, and acknowledge the policies and pathways that made those discoveries possible. We have an opportunity and responsibility to change the future of cancer care through continued education and advocacy. I invite you to help be a part of this change by sharing your thoughts and joining us on this journey to turn the tide against cancer. In advance of the Turning the Tide Against Cancer 2014 national conference, the Age of Personalized Medicine editorial team posed questions to Suleika Jaouad, The New York Times Emmy® Award winning columnist of “Life, Interrupted,” and cancer survivor, who will be speaking at the event on October 9 in Washington, D.C. Below, Suleika shares insights from the patient perspective on the need for a patient-centered approach to cancer care. QUESTION: As a cancer patient, would you describe your health care experience as “patient-centered”? Why or why not? Suleika Jaouad: Yes and no. I feel deeply grateful and indebted to my doctors who have always gone above and beyond to provide me with the very best care, but the lack of patient-clinician communication has been an ongoing struggle and source of frustration for me. For example, just a few days after my diagnosis, I learned via Google search that the chemotherapy treatments I was scheduled to undergo in less than a week would most likely leave me infertile. It was only after I initiated a conversation about fertility that my doctors told me about the available options. This felt like a major breach of trust early on in my treatment and I couldn’t help but wonder what else my doctors weren’t telling me. At 22, I hadn’t had the chance to start a family yet. Preserving my ability to be a mother one day felt like a lifeline to an already uncertain future. After explaining this to my medical team, they agreed to delay chemotherapy so that I could undergo fertility preservation treatments. This experience was the first of many that made me realize I needed to take an active role in my medical care in order to better advocate for myself. QUESTION: In your opinion, how can we create a more patient-centered approach to cancer research and care? Suleika Jaouad: Communication is the golden ticket. We live in the WebMD age where patients often consult Google before they consult a doctor. This can be dangerous and can lead to misinformation and misunderstandings. Creating an environment where the patient feels comfortable asking questions and talking to their medical team is crucial. It’s also very important for clinicians to educate their patients and to take the time to explain things more than once in clear, simple language. My doctors are some of the smartest people I’ve ever met. This made me feel safe and like I was in good hands, but half of the time I felt lost in the conversation. A lot of the terminology and medical jargon they used sounded like a foreign language to me. I wanted to understand and learn more about my disease but I often felt overwhelmed and didn’t know where to start.